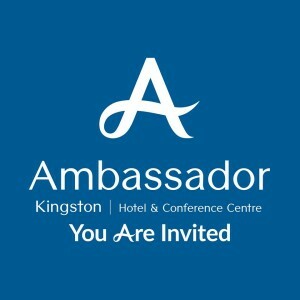 Kingston Wedding Planner is exited to show you Ambassador Hotel & Conference Centre new listing. The Ambassador Hotel & Conference Centre has been a trusted and respected wedding venue in the Kingston area for almost 50 years. Whether for a large celebration or an intimate gathering, the Ambassador can provide a perfect space and exceptional service for your special day. The majestic Ambassador Ballroom features 16 foot ceilings, chandeliers and a beautiful courtyard. Experienced, on-site wedding planners will assist with every detail, including menus, music, wedding cakes, floral arrangements and photographers. Visit our Wedding Directory for a full list of wedding vendors and Reception Venues in Kingston, Ontario.